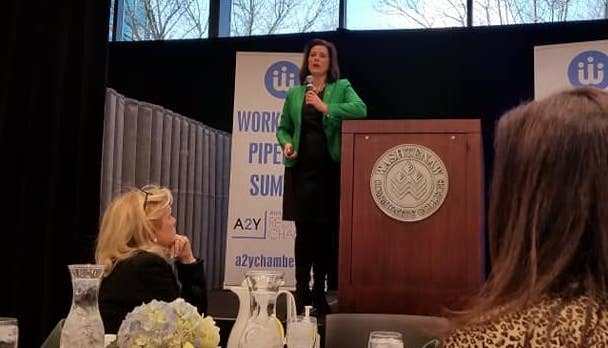 On March 18, 2019, NewFoundry presented the Workforce Pipeline Summit in partnership with the A2Y Chamber. NewFoundry CEO and A2Y Chamber Board Chair Richard Chang served as the lead organizer of the event. NewFoundry provided an in-kind donation of strategy and design services to create the event’s vibrant visual language and engaging messaging platform. This foundational work was extended to create everything from the website to social media visuals, promotional material, signage, the day’s program, attendee credentials, and more. 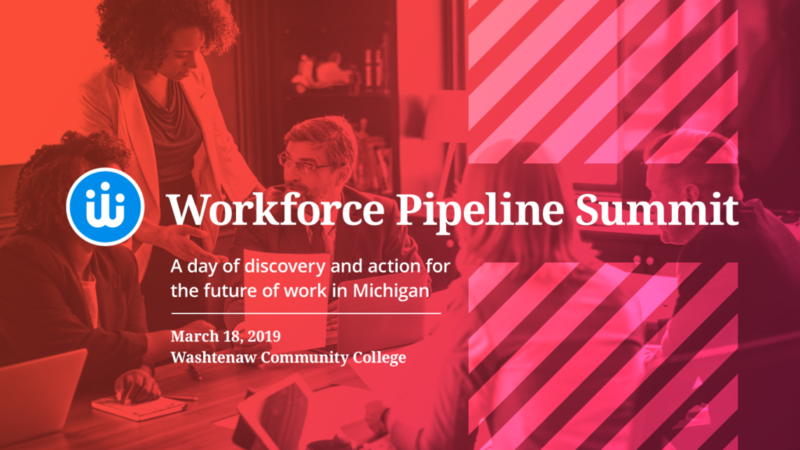 The mission behind the Workforce Pipeline Summit is to strengthen our local workforce and community through alleviating the short- and long-term pipeline shortage. The keynote speakers were Governor Gretchen Whitmer and former Duo Security CIO Raffaele Mautone with additional speakers from a range of industries, educational institutions, nonprofits, and other community organizations. The day ended with group-based discussions to create vision statements around what we want to look like as a workforce-based community by the year 2030. Steering committee members will use the vision statements to create 2-, 5-, and 10-year measurable and actionable master plans. We would like to join the A2Y Chamber in thanking the event sponsors, speakers, facilitators, and others who contributed their time and talents throughout the day, Washtenaw Community College, and the 300+ people who attended the Summit. Stakeholders in this important issue are invited to watch for the master plan rollout and other updates at workforcepipeline.org.